For my second year of regency, part of my formation as a Jesuit, I was sent to Anderson Lake near Espanola, Ontario, to the Anishinabe Spiritual Centre. This year marked a time of transition and renewal at the Centre and so of the work of the Jesuits among the First Nations people of Canada, I would say. It was a blessing for me to have been missioned to be part of that renewal. 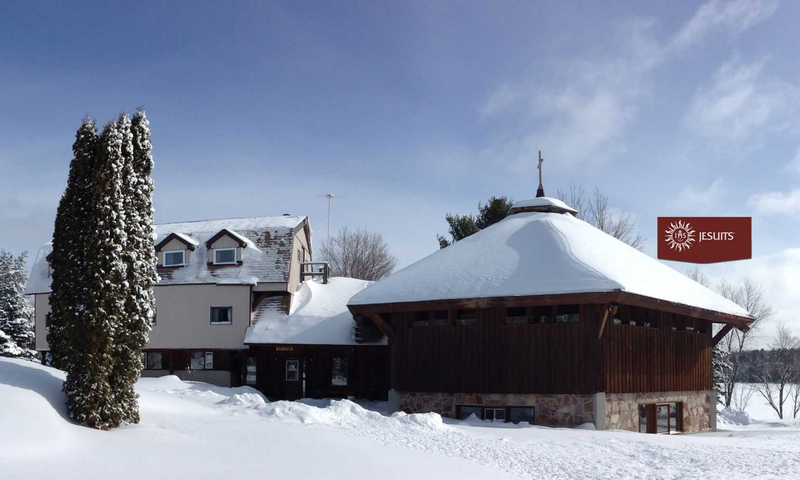 The ASC (Anishinabe Spiritual Centre) was built over 30 years ago, and by all accounts it thrived for many years in its ministry to the First Nations people. Many Native Deacons and DOS (Diocesan Order of Service, women who are mandated to assume leadership roles in the Church) were trained at the Centre. There have been sessions of spiritual and theological reflection, in collaboration with Regis College in Toronto. There have been summer camps, a Wilderness Experience program for youth, marriage preparation classes. In recent years, certain programs at the ASC ended, others continued with diminished numbers. A reason for this slow-down was a diminishment in staff: as of 2010, there was only one Jesuit assigned to the Centre (but with others in the area). A year ago or so there was an infusion of new blood, as it were, starting with Fr. David Shulist S.J. who came in May of 2011 as the new Director. David brought with him fresh ideas, much energy and new aspirations for the Centre. Of central importance to our progress this year and to our hopes for the future, from the point of view of the Jesuits, is our collaboration with lay people. We have defined the ASC as not only a place but a community, with the Jesuits being one part of that community. The ASC also includes its lay staff, volunteers and other supporters. The lay staff has also expanded recently at the Centre, including Arturo Garcia who has come on board as Assistant Director. The elder lay staff, Gerry Ziegler and Leonard Cywink, are also being joined by much younger lay people, Lindsay Auge and Kelly O’Connor, within this year as I move from regency to theology. Moreover, we recently had a young volunteer named Justin Dittrick with us for a few months, and are excited about the prospect of a new JVC (Jesuit Volunteers Canada) program that could bring other young people here, both to contribute to the mission and to grow and discover themselves. Indispensable to the ASC are the First Nations people of the area, who not only come to the Centre for leadership training and spiritual retreats, but who offer such thoughtful insights into the needs and desires of the Native communities to which they belong. These friends of the Centre are thus a key part of our ASC community and work. This discussion about collaboration reminds me of another point made by the Jesuits who convened for the 35th General Congregation: they stated that “lay and religious, women and men, indigenous persons and those of different religious and spiritual experiences: all these have changed us and nurtured in us a greater sense of the God “in whom we live and move and have our being”…[this] opened for us fresh avenues to implement our mission through more profound collaboration with the laity”” (Common Mission, p.54, GC 34). Fr. Peter Bisson, SJ, Provincial, affirms that “we should not do by ourselves what we can do with others”. This mandate can be quite a challenging one, I think, as it often seems better or easier to do things by oneself, and quickly, rather than working with others. It is my experience, though, that a project done with another or with others will usually turn out better than expected, and better than I could have done on my own. One hopeful new project of the ASC’s, undertaken in this spirit of collaboration, is the WEY (Working to Empower Youth) program. The committee that has been working on this project has included me, Fr. 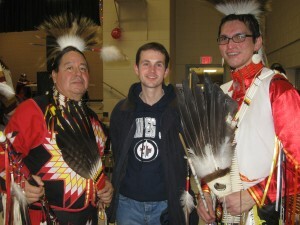 David, Justin, and four members of the Sagamok Anishnawbek First Nation community. It is noteworthy that the inspiration for this program, which intends to bring young people from Sagamok and other local communities to the Centre, came not from the Centre staff but from the people of Sagamok. They saw a specific need within their community and sought the assistance of the Centre in putting a program together. The need sensed by the WEY working group members was a lack of direction and of spirituality among the youth of their community. Spirituality, then, is an area of expertise for which the ASC is recognized, and to which it can contribute. Other areas of focus for our future programming are those of ecology and health. These areas are also important aspects of the tradition of the First Nations peoples. Thus they are natural points of contact, dialogue and collaboration. A friend asked me recently if I thought the Anishinabe Spiritual Centre has a future. Certainly there is life, there are good things going on – and it has been an interesting and rewarding experience for me to be a part of this forward movement. I have a good sense that God has been present and guiding us this year. I told my friend: let`s wait and see. Let`s give the ASC a few years and see what happens with some of the new endeavours that have begun. And the future of the Centre is not all planned out – and that is OK, and kind of exciting. This past year was not all planned out, either, but went well. I heard recently that St. Ignatius (the founder of the Jesuits, whose feast day we celebrated yesterday, July 31st) always took things one at a time, praying for the grace to be able to discern the next step. I pray that we at the ASC might follow his example, and might be able to say that we have proceeded prayerfully and have been able to detect the presence of God in our work. Previous PostPrevious The Role of the Anishinabe Spiritual Centre in the Native Sector – Fr. Mike Stogre S.J.